America Makes' annual Members Meeting and Exchange (MMX) event was held on 15-16 November 2017 in Youngstown, USA. 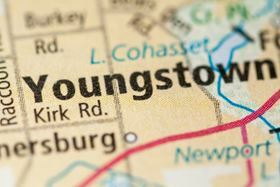 3D printing organization America Makes reports back from its annual Members Meeting and Exchange (MMX) event, held on 15-16 November 2017 in Youngstown, USA. According to Gorham, the meeting covered America Makes initiatives, as well as topics impacting the AM industry at large, including the announcement of an upcoming Project Call, status reports on research projects underway, and member special announcements. This event was focused on the progress of developing and growing a comprehensive and globally competitive American 3D printing (3DP) and additive manufacturing (AM) infrastructure. Jason Rodriguez, vice president & head of global education and market development, at HP Inc giving the keynote address on how today’s organizations understand the new reality and subsequent, invaluable benefits of public-private partnerships in driving economic value, while Jim Williams of All Points Additive and Jim McCabe of the American National Standards Institute (ANSI) discussing the importance of the Additive Manufacturing Standards Collaborative (AMSC) and the need for convening standardization bodies within the AM industry. Rob Gorham, America Makes executive director, and Ralph Resnick, America Makes founding director and NCDMM president and executive director, presenting the America Makes Distinguished Collaborator Award to Jim Williams of All Points Additive and Jim McCabe of ANSI for their leadership on the development of the AMSC. Additive manufacturing organization America Makes says that for the first time, its annual members meeting will be open to non-members. The iron powder market in North America is expected to reach 563,000 metric tons in volume by 2020, boosted by automakers. NCDMM plans to run an AM field-study trip for students from the National Defense University.